Imagine a world where we have the capability to generate solid, three dimensional objects from a specially designed printer connected to a computer. Although it might sound like this idea has come straight from the pages of a science fiction novel, 3D printers capable of producing physical objects have been in development for over a decade. 3D printing is the process of creating three dimensional solid objects from a digital image or model. The process is sometimes known as additive manufacturing because it is accomplished using additive processes, which involve the creation of an object by placing successive layers of material on top of each other. This technique is the opposite of traditional machining processes, which use subtractive manufacturing — removing material through cutting processes. One method of commercial 3D printing technology is known as fused deposition modeling (FDM). In this process, a hot thermoplastic (a semi-liquid material) is forced from a print head to create accurately proportioned solid objects. Some FMD printers can utilize other substances to create objects, like concrete, to produce whole buildings and food ingredients that can print in chocolate, cheese, or cake icing. Other methods of 3D printing, such as direct metal laser sintering (DMLS), can create metal objects. The laser sintering process can also be used to create wax objects that can later be used in the more traditional process of lost-wax casting. In this process, once the wax model has been 3D printed, a plaster mold can be poured around it. When this is heated, the wax melts leaving room for molten metal to be poured in. After cooling, the plaster mold is removed and the metal object remains. You may be surprised to find out just how many things are currently being created with 3D technology. Here are some of the most cutting-edge 3D printing projects. Prosthetic limbs: 3D printing has been used to make prosthetics to help animal and humans. One vet used the technology to print a mask to help a dog recover from severe facial injuries. In the human realm, 3D printing has been used to make prosthetic hands and arms and it’s gearing up to have even greater impact within the field of medicine. In an experiment carried out by Northwestern University Feinberg School of Medicine in Chicago, a mouse with 3D printed ovaries gave birth to healthy babies. Homes and other buildings: A Moscow designer constructed a 400-square-foot house in under 24 hours using 3D printing. This could prove to be a major breakthrough in a world where many people are in need of emergency shelter after their homes have been destroyed by a natural disaster. In Beijing, another home was built from 3D printed concrete forms. The two-story house was completed in just three days. 3D edibles: Traditional cake decorating techniques could soon be a thing of the past. Piping icing on a cake is quite similar to the 3D printing process where material is squeezed through a needle to form layer after layer. So, it’s hardly surprising that someone created a 3D chocolate printer. Like plastic 3D printing, the chocolate printer starts out with a digital image that is divided into layers by a computer program. Chocolate is an ideal material for this technology, but creative chefs have also used 3D printing to make things from cookie dough, ice cream, hamburger patties, and marzipan. Manufacturing: 3D printing has seen increasing use in numerous manufacturing industries over the past five years. It is being used to make auto parts, replacement machinery parts, new product prototypes, creating molds and jigs, and tools. 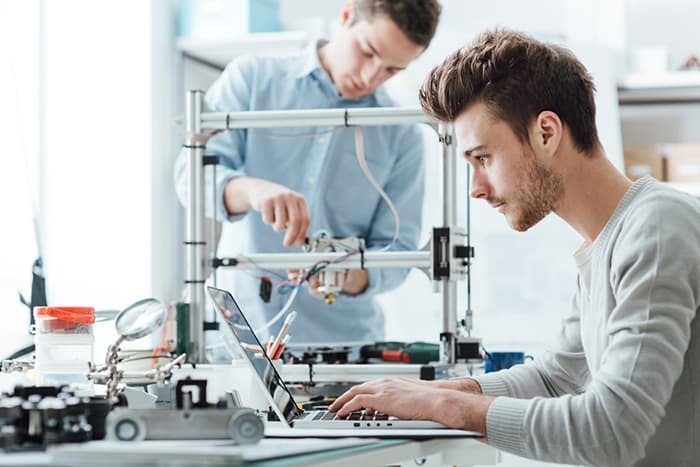 Many manufacturers have found that using 3D printing lowers manufacturing costs and can make products in less time than traditional manufacturing practices. Musical instruments: Guitars, flutes, saxophones, banjos, and even violins have all been made using 3D printing. Lund University in Sweden hosted the world’s first lie concert performed solely on 3D-printed instruments. The band performed with a drum, keyboards, and two guitars. Unborn babies: 4D ultrasound pictures of babies in the womb have been popular for decades, but 3D printing technology takes it to a whole new level. It does so by printing out the images of the fetus into a three-dimensional model. You can have an eight-inch custom life-size baby 3D printed for around $800. Selfies: If snapping a picture of yourself with your smartphone just isn’t enough anymore, now you can get a 3D printed “selfie.” Whether you want a mini-model to put on your wedding cake or a bobble-head figure of yourself for your dashboard, you can get them made by a company called Cubify’s 3DMe. 3D printing is certainly making waves and its set to become more and more popular now that 3D printers are being made at a lower price than ever. Before too long, maybe every home will have one.